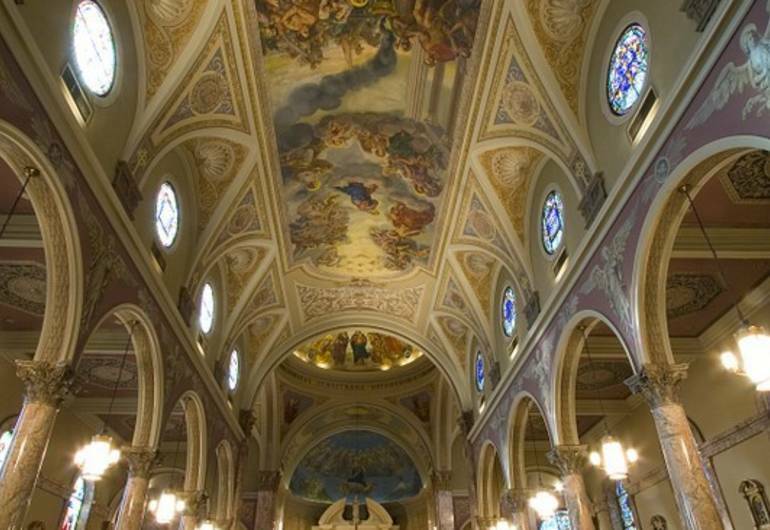 St. Lucy's is both highly historic and one of the most ornate churches in Newark. The land was secured in 1901 and the building completed in 1925. It was added to the National Register of Historic Places in 1998. 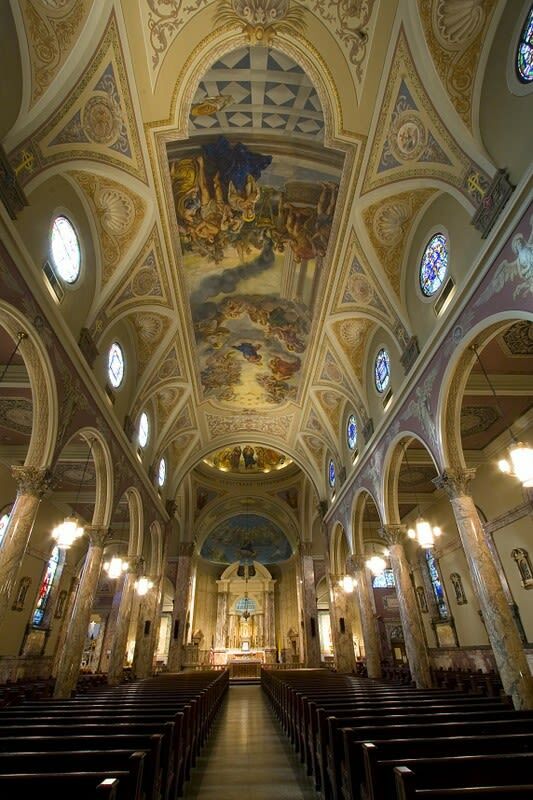 Come inside for this tour of the mezzogiorno, the old First Ward, and a little bit of baroque in Newark. Saint Lucy was the Patron Saint of The Blind & Eye Disorders Born Circa 283 - - - Died Circa 304 Saint Lucy's Community Center on 7th Avenue in Newark houses the The Museum of the Old First Ward of Newark (lower level). The museum covers the period from the 1880s until the 1970s. Museum hours are by appointment only. They welcome tours, schools and individuals. For appointments and further information please contact Bob Cascella at 201-340-4966.